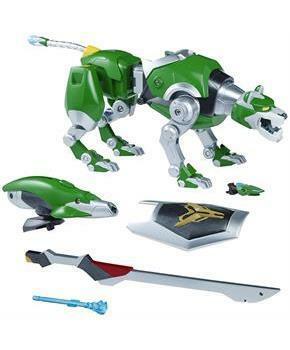 Prepare for the complete Voltron experience with Playmates Toys' Voltron Legendary Lion assortment! 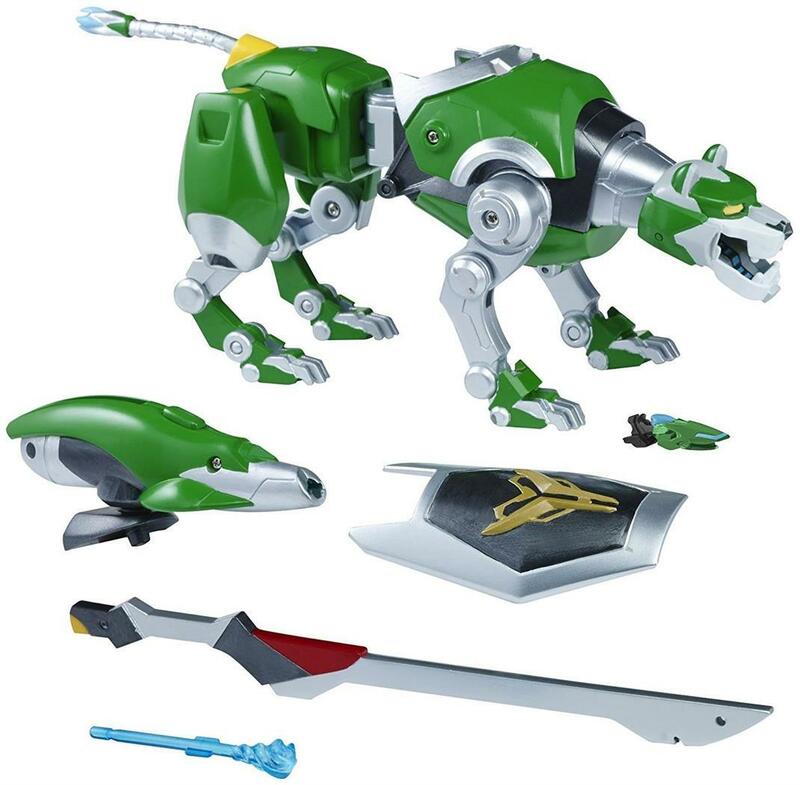 The approximately 9-inch long Legendary Green Lion is not only fully articulated, but also includes the "Soul Surge" projectile launcher, mini speeder with pilot, Pidge, and can transform into the left arm of Voltron. When combined with the other Legendary Lions, you can form a 16" Voltron with incredibly fun features! Collect them all! Prepare for the complete Voltron experience with Playmates Toys' Voltron Legendary Lion assortment! Approximately 9-inch Lion features 19 points of articulation! Includes the "Soul Surge" projectile launcher and mini speeder with pilot, Pidge. Transforms into Voltron's left arm. When combined with the other Legendary Lions (each sold separately), you can form a 16" Voltron with incredibly fun features! Collect them all!